One of the most common challenges we face when replacing halogen lights with LEDs is the increased shadowing LEDs can create. Visual directors will often comment that what before were “soft shadows” have become “dark shadows” under LEDs. The criticism is fair. Increased contrast between the lit and unlit sides of a rack, garment, or piece of furniture are a potentially nasty by-product of a directional (flood and spot bulb) LED retrofit. Here’s where the issue comes from, and how we address it. HALOGEN LIGHT GOES EVERYWHERE, SO EVEN A SOLID TABLE WILL HAVE ONLY SOFT SHADOWING BENEATH IT. 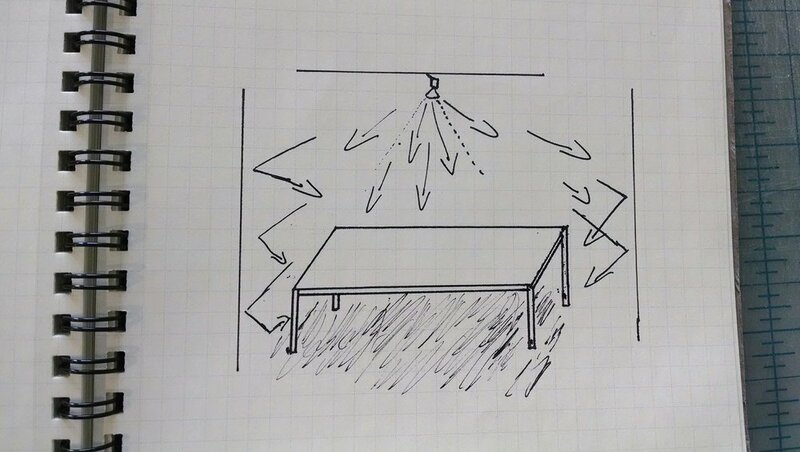 THAT THIS TABLE HAS DETAILING IN THE WOOD AND THE PREVIOUS ONE DOES NOT IS THE SKETCH "ARTIST" MAKING THE POINT THAT LED LIGHT, WHILE INCREASING SHADOWING, ALSO GREATLY IMPROVES THE VISIBILITY OF COOL PRODUCT TEXTURE AND DETAIL. 1. Increase the number of light sources, and space them evenly. Relamping (increasing the number of bulbs) by as little as 30% of total count can almost entirely eliminate a perceived increase in shadowing. The second important step is de-clumping. 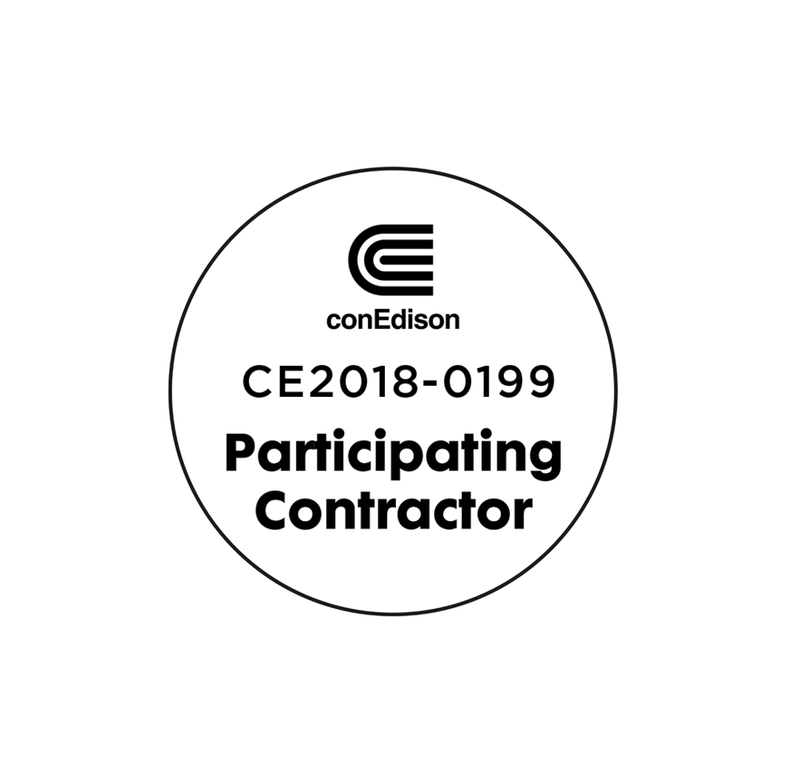 Not a real term, this is a reference to insuring that fixtures are no longer clustered together. With LEDs' increased capacity for delivering candelas to a target, fewer lamps are required per target; clumping will only worsen the shadowing issue. 2. Make product adjustments. Some LED light bulb companies pride themselves on sharp contrast between brightness and shadow in display environments. Given that this is sometimes strongly at odds with the client's sensibility of "good" lighting, we have identified a set of directional products which offer a softer cast—we can maintain color quality and detail while reducing the shadow-related shock value of an installation. 3. Then there is education. Visual and design professionals, ever more familiar with LED products, are beginning to appreciate that when you increase the amount of light that strikes an opaque product, the contrast of the resulting shadow inevitably increases. If you want more light to strike a piece, math dictates that the area behind the piece becomes relatively darker. We endeavor to be part of this education process with every project we do, minimizing the lighting problems where possible. 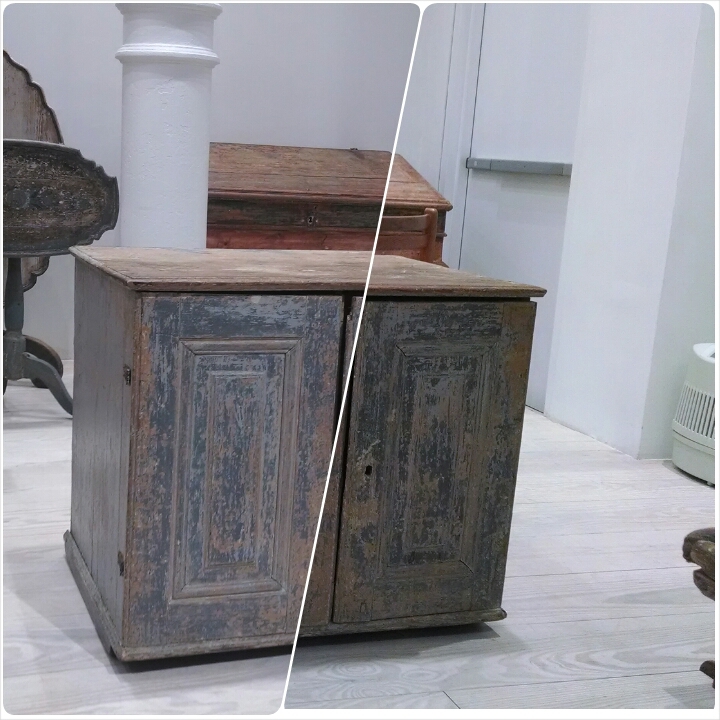 We leave you with a nice before-and-after of an antique cabinet and the massive positive impact directional LED lighting had over halogen lights. The benefits outweigh some shadowing.